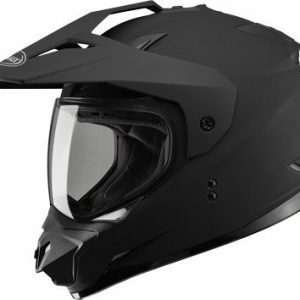 We offer a wide selection of Dual Sport Adventure Helmets from brands AGV, Bell, Nexx, LS2, Schuberth, Shoei, Shark, Torc, ICON & AFX. 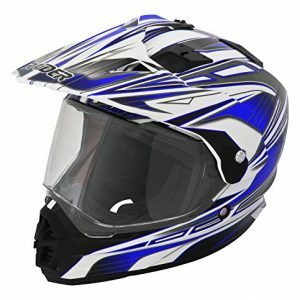 The dual sport helmets combine the features of motocross MX helmets & street motorcycle into a hybrid helmet. 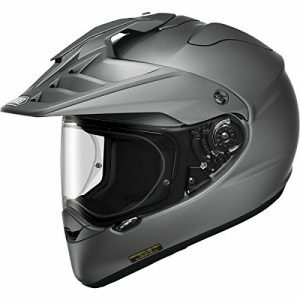 Dual Sport Adventure helmets offer a visor commonly found on dirt helmets, but with vents to prevent catching wind & pulling your head back. 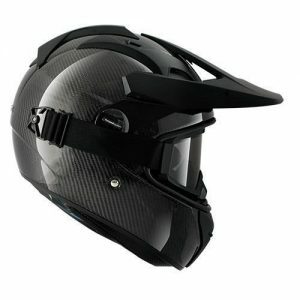 They offer a face shield that protects you’re from debris, wind & other objects normally found when riding without goggles or on the street. 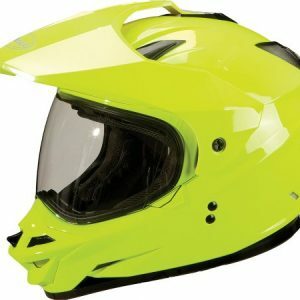 Combine these features with an elongated chin bar to increase air-flow into the helmet & you have the perfect on-road/off-road helmet. 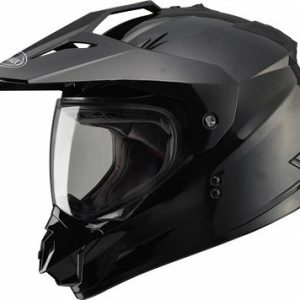 We have assembled the best of the best dual sport adventure helmets in the market & combined them with reviews from amazon to provide the perfect shopping experience. 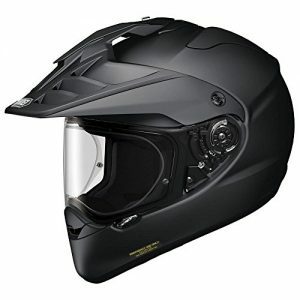 If for some reason you do not see a particular dual sport adventure helmet on our website, please send us a Facebook message so we can add it for you. New exhaust ports added to the top diffuser vents nearly double the airflow while using the same (4) 10mm vent holes in the helmet shell. 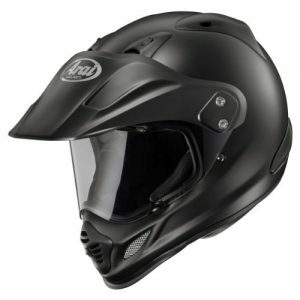 The ability to increase performance from existing designs is typical of Arai’s evolutionary thinking. New shell shape for better aerodynamic stability at higher street speeds, works in concert with the high-flow peak and new side cowl vents. **Please note: Rear image is intended to show design pattern, see main image for color reference. SIZE: XS=Extra Small, SM=Small, MD=Medium, LG=Large, XL=Extra Large, 2XL=Double X. Colors: TC1=Red, TC2=Blue, TC3=Yellow, TC4=Green, TC5=Black, TC6=White, TC7=Pink, TC8=Orange All orders are processed and shipped on the same day when possible. Items are shipped from several warehouses to ensure quickest delivery time. 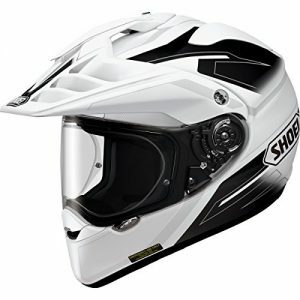 SHOEI brand helmet is one of the best highend motorcycle helmets in the market. It is known for excellent lightweight material and comfortable fit. All SHOEI helmets are made in Japan. All orders are processed and shipped on the same day when possible. Items are shipped from several warehouses to ensure quickest delivery time. 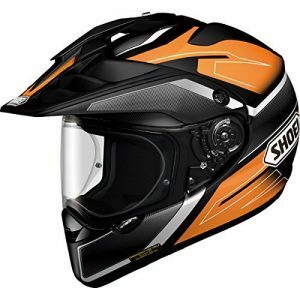 Authorized Shoei Dealer SHOEI brand helmet is one of the best highend motorcycle helmets in the market. It is known for excellent lightweight material and comfortable fit. All SHOEI helmets are made in Japan.